I am a little behind on my contribution to the July quilt for the Love Circle. 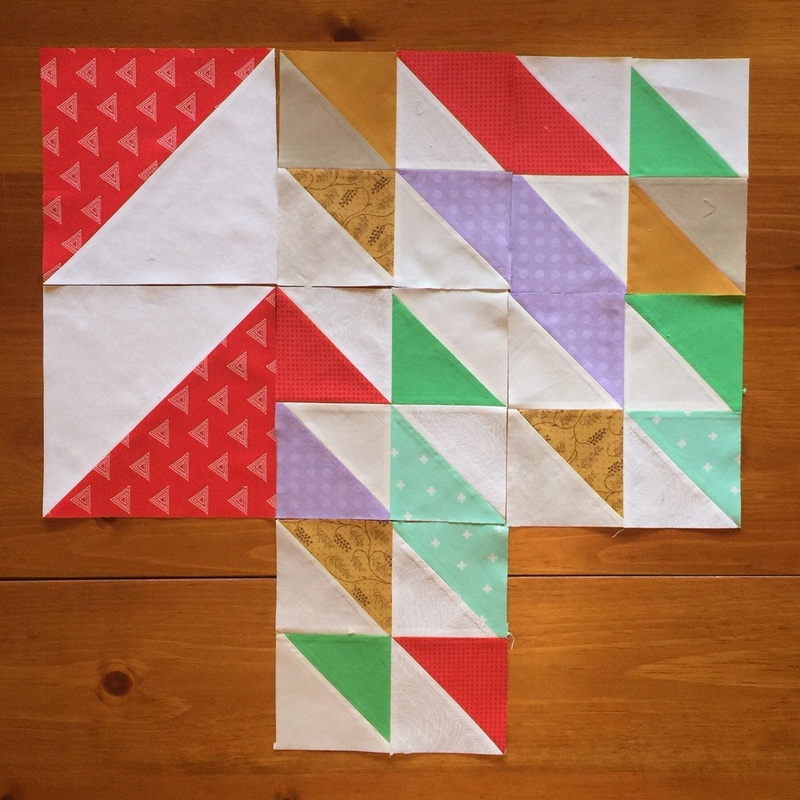 Ara Jane asked us for half-square triangles in a palette of gold/curry, bright red, lavender, bright green, and sea foam. I've been seeing a few HST quilts on social media lately and coveting them something rotten, so this was a good way to exorcise some of that envy. I tried a few different methods for making them. There's the two squares method, which results in two complete blocks, and this method which results in eight HST blocks. There are many different methods out there and one day I will get around to making my own HST quilt and trying them all. Meanwhile I loved making these for Ara Jane and I look forward to seeing the finished quilt one day!